Many of us who have worked in Russia, but also in many other places, have experienced how easy it is to get trapped in a role that we get ascribed by people in the field. What is the consequence of this perceived roles for our fieldwork, the participant aspect in the live of our friends in the field? And how do such roles play out when we study spheres that are are considered private, if not intimate, by our research partners? Coffee and pulla (cake) shall be served, everybody is welcome. If you have questions, please ask Florian Stammler. 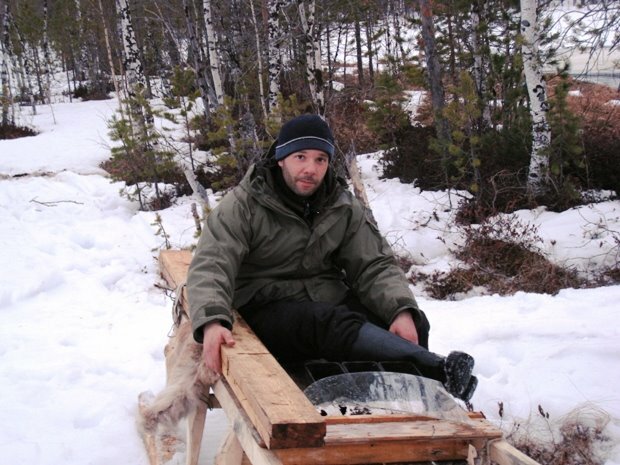 Basing on fieldwork among the Khanty reindeer herders living around the oil city of Kogalym, Western Siberia, this lecture is on forms of representation, of showing and hiding, shaped by different communication practices. Internal Khanty concepts of information distribution influence public events informally, in tandem with the official representation strategies of the state bureaucracy. The main methodological dilemma I faced in the field was how the researcher can document borders of communication without violating them. My suggestion is to consider the ethnographic practice of participant observation, in particular the participation part, as an experiment. I would like to see the researcher as an indicator or measuring instrument to detect the communication ideology inside the community she or he conducts her or his research in. The social roles the researcher is taking on do not so much depend on her or his wishes or skills but upon the wishes and interpretations of the community she or he is working with. Several cases from my fieldwork will exemplify how I was integrated in different ways into the Khanty community and how analysing this integration can reveal the ways information is distributed inside the community and to outsiders. They span from surfing social networks, being part time adopted, to being suspected of spying, or warned to deliver information to the neighbours. I conclude with some methodological considerations on how participation could be used as an analytical tool in order to reach the hidden without revealing it. This entry was posted in All, Announcements, Guests, Russian North, Theoretical Issues. Bookmark the permalink. The study of cultural context in Anthropological study created the extra form cultural anthropology. Cultural Anthropology’s near problem on youth engages both very old anthropological theme, such as politics, religion, and spending, as well as present-day concerns together with medium, popular culture, and movement. The cultural anthropology also cover the area mainly on culture. With taking sides and economic unrest washing from first to last North Africa and the Middle East, youth are to be found, both figuratively and literally, at the forefront of these debates and protests. It is based on the study of culture.This moment burden renewed consideration and conceptualization of youth.